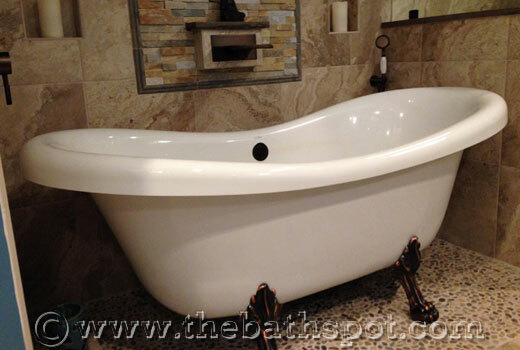 The Virginia Clawfoot Slipper Tub is a 66-1/2" tub with Lions Paw Feet. Available with or without an Air Injection/Air Jet system. With the remotely located blower it offers a peaceful spa-like experience. 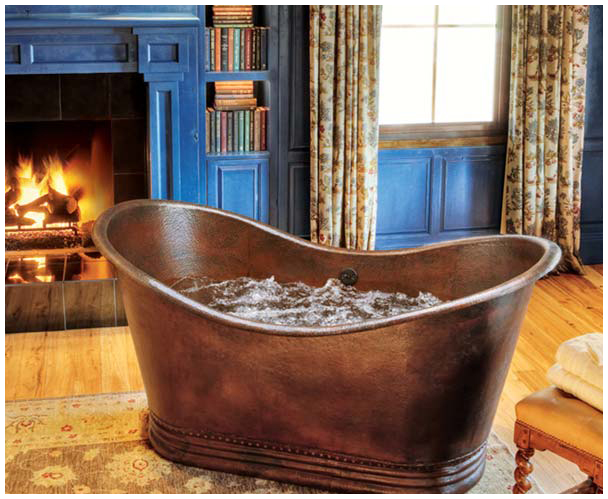 A dual ended clawfoot tub providing both beauty and supreme comfort. Large rolled rim. Gentle slope on each end offering lower lumbar support. With or without air jets. 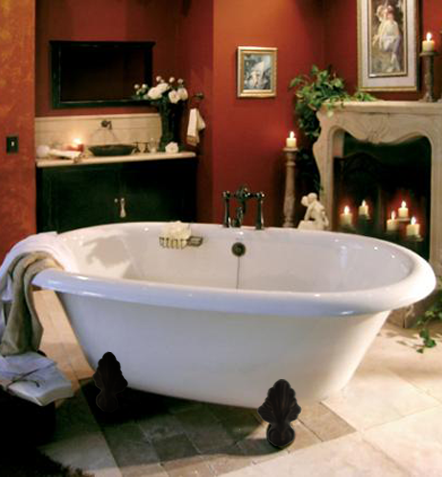 This elegant double slipper tub is 6' in length and comes with or without air jets. This air system pairs 16 precisely placed air injectors with a heated air blower which can be located up to 12' from the bathtub. 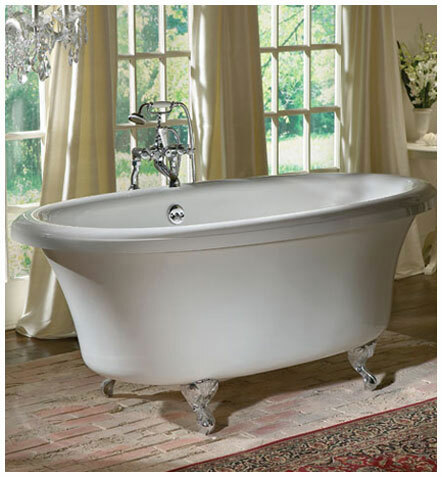 This Delilah Air Bath comes in both a clawfoot tub as well as a pedestal tub version. Both styles are vailable in a 66" and 72" length, with or without the air bath system. Both are available in custom colors. 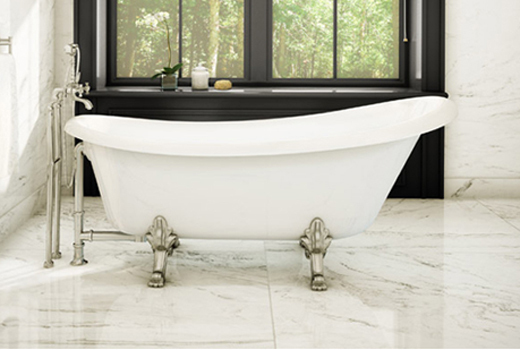 The Soco 7242F is a beautiful modern freestanding bathtub. Available in white or custom colors. Available with or without Air Bath. All tubs ship *FREE to your curbside. Lift gate service is available at an additional charge. *Free shipping within the Continental United States. Please call for shipping to Alaska, Hawaii, or to inquire about tubs which may ship to Canada. Enjoy easy and secure check-out. We accept most major credit cards and PayPal. Buyers Can Checkout Without a PayPal Account. Use our "checkout" with PayPal and you decide, afterward, whether you want to save your information and create a paypal account. Not sure what you need or can't find something you are looking for? Feel free to give us a call. We are always happy to help. Current special deals and packages. At the end of a long workday, tubs are the ultimate in relaxation! Bathtubs invite you to relax and unwind. The Bath Spot has the perfect clawfoot bath tub and accessories to make your bathroom a calm and peaceful place to relax. 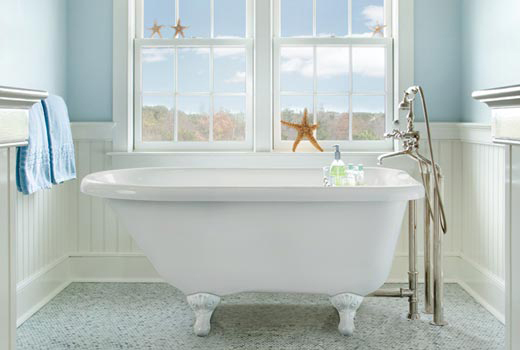 A Clawfoot tub is a classic style tub that will add wonderful charm and character to any bathroom. 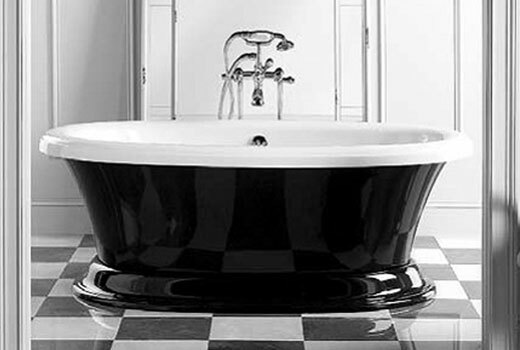 We also offer a variety of freestanding and pedestal tubs. 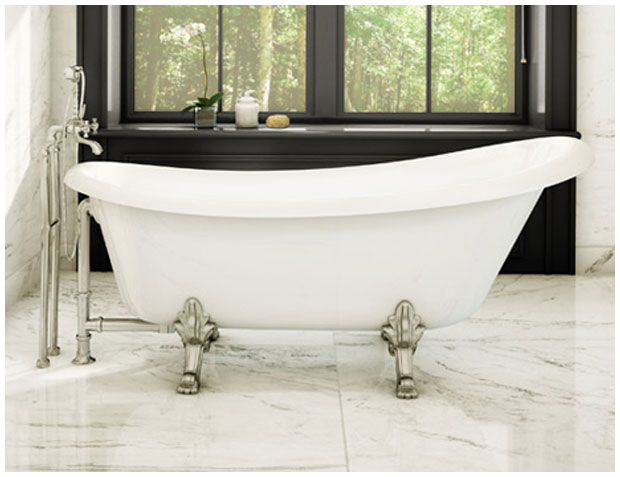 These freestanding bathtubs work well in modern, vintage, and eclectic style bathrooms and are available in jetted, as well as non-jetted, styles. 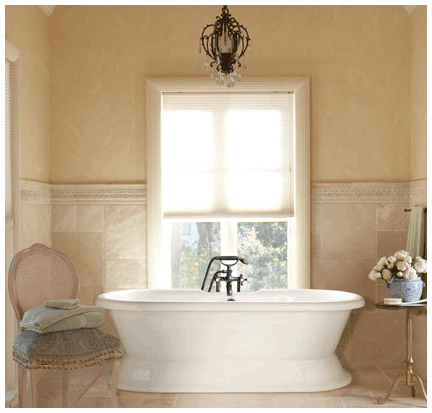 Pair your new tub with any of our fixtures to create the bathroom retreat of your dreams. How long should I allow for manufacturing and shipping of my new bathtub? Most of our manufacturers require 10 business days for manufacturing a jetted tub however, there are some tubs which are available for shipping in as little as 3 business days. You will find a "Ship it now!" icon by these tubs. 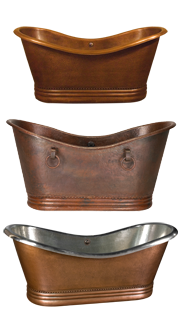 Our Julius and Virginia Air Jetted Clawfoot Tubs require 10 - 15 business days for manufacturing. Once a tub is manufactured please allow another 3 - 7 business days, depending upon where you live, for your bathtub to arrive. How will I receive my bathtub? Each bathtub is crated or boxed and shipped via freight carrier. The freight company will typically call you at least 24 hours in advance to arrange for a delivery time. If you have not paid for a lift gate service be sure to have enough help on hand to unload the crated tub from the truck. Some manufacturers crate the bathtubs in a solid wood crate which makes these shipments quite heavy. 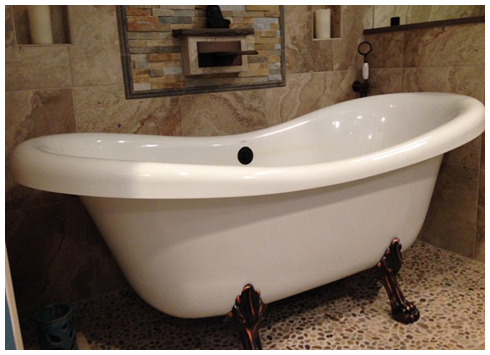 We offer a "complimentary lift gate", which will lower the tub down to the street level at your curbside, with these bathtubs. We try, when the manufacturers provide, to include the shipping weight in the technical information. Most of the acrylic, jetted and non-jetted, tubs are boxed and can typically be unloaded by hand by 2 or 3 able bodied people. What do I need to purchase with my new Clawfoot or Freestanding Bath Tub? 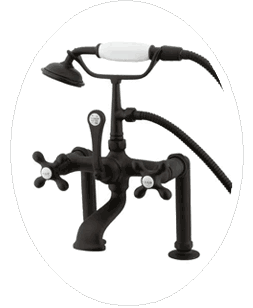 You will want to purchase the waste & overflow (drain) as well as the tub faucet and water supply-lines. The type of water supply-lines will depend on your particular application. If you wish, and the tub permits, you may want to mount your faucet on the top rim of the bathtub. For this type of installation you will want the straight water supply-lines. Consider whether or not you want to include shut-off valves. They are always a good idea and besides, they look pretty good too. 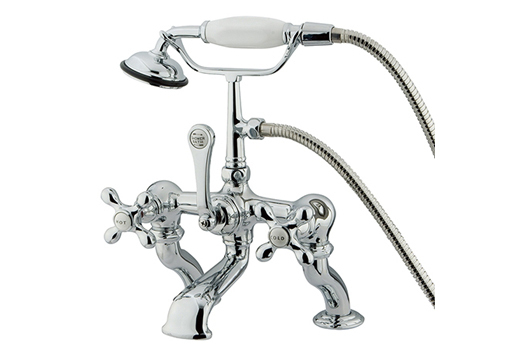 If you want your faucet freestanding, meaning you don't want to mount it on your bathtub, or your bathroom wall, you will need the freestanding water supply-lines which include wall supports and shut-off valves. If you don't have a wall within reach you will want to include the drain bracelets which allow you to attach the supply-line supports to your overflow pipe rather than your bathroom wall. If you are going to go with a wall mounted faucet then you will want to look at the spec sheets to be sure your faucet will reach into your bathtub far enough that the water doesn't trickle down the inner wall of the tub. If you need help in determining which wall mount connector to order just give us a call and we will happily help you select the correct one.